A Guest recipe contribution from my Indonesian-Chinese friend and fantastic home Chef Lousiana van Menxel. Both our family moved around the same time to India and she has single-handedly rocked New Delhi with her famous Sate’s and left a lingering Indonesian food impression behind. They were sad to see her leave and I am very happy to enjoy her up close again, a more than welcome opportunity to sample even more of her dishes. Louisiana shared her recipe of making Huat Kueh 发糕 (Fa Gao aka Fa kueh) or Prosperity Cake. Kue’s are a popular snack in Singapore, Malaysia, Indonesia, (even Vietnamese and Thai dessert versions) as a former colony it is also popular in The Netherlands. What makes it so special is that besides local native specialities you can distinguish many different cultural influences as Chinese and European pastry making methods. Another indication is language in Chinese-Indonesian culinary culture, mainly through loanwords derived from the Hokkien, Hakka and Cantonese dialects for many snacks and dishes. 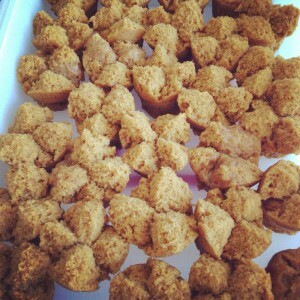 For example kue is derived from the Hokkien pronunciation ‘kueh’. Huat Kueh or easier pronounced Prosperity cake, the name originates due to leavening process when the cake produces a bloom that bursts, opening up the top like a flower symbolizing a burst of prosperity. The prosperity cakes were often used as props in many Lion dances during Chinese New Year’s celebrations or business openings to bring prosperity and good luck. 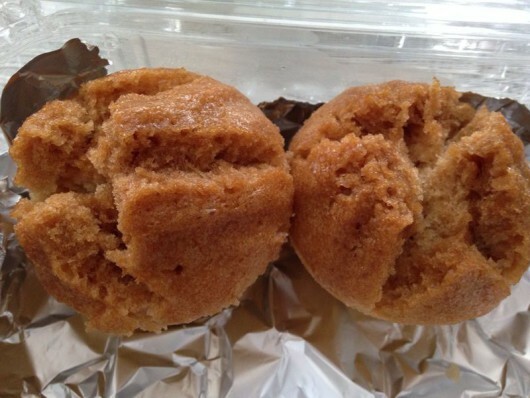 If not by friends or family food talk, a simple search on the internet will provide an impressive overload on recipes and making methods for Huat Kueh, which also proves how popular this scrumptious little cake is in south-east Asia and in Chinese diaspora’s across the globe. The earliest method of making these cakes comes from the tradition of making Chinese rice wine as was customary in the old days in many farm households, a sustainable life was a survival necessity. Nothing was spoiled and everything has it purpose or re-used, so were the wine lees (sediment after wine is filtered). Wine lees* as well as soy pulp (okara) were fed to the pigs on the farm or the lees were used to be mixed with rice flour into fermentation in making these prosperity cakes, hence the wait for a couple days but it is absolutely worth it. Fermented rice has many purposes and I have seen the product in plastic containers at the Oriental Supermarket in The Hague on display directly in front when you pass through the entry gates. Worth to note is that in south-east Asia you will often notice the use of Eno* as a substitute for baking powder. 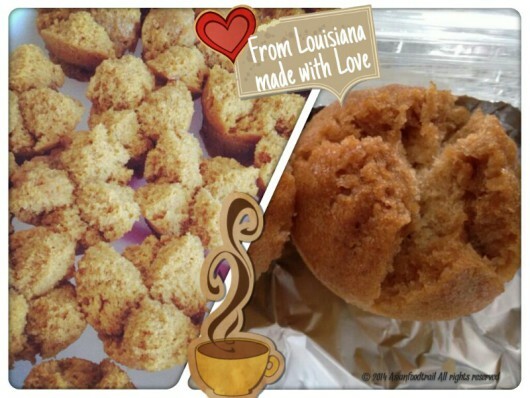 Can’t wait to try my hand with Louisiana’s Huat Kueh, have devoured these on many occasions and now they hopefully will burst as prosperous out of my steam pan soon and yours too 🙂 However if you rather like to just east them, she is happy to make them for you, send me an e-mail request to connect with Louisiana HomeChef. Terima kasih banyak, Lousiana! ♥ 非常感谢! A+ B di mixer di halusin semua baru campur 600 gr tepung beras dan diamkan 9 jam dan baking powder 2 sendok teh. Baru tuangkan kedalam mangkok kukus 20 menit. The Japanese sake rice lees makes a perfect marinade base for meat, vegetable or fish, read this food & wine article by Makiko Itoh. Digesting of brown lees is also good for health especially lowering the risk for type 2 diabetes and cardiovascular disease according to a PubMed (US National Center for Biotechnology Information) article click to read for more information. Eno (a fast-acting effervescent fruit salts, used as an antacid for upset stomach and reliever of bloating) contains; sodium bicarbonate, citric acid with anhydrous sodium bicarbonate, when it gets mixed with water the bubbles of CO₂ gets produced which relieves gases. The soda neutralizes the acids in the stomach. Hence their tag-line; “Gets to work in 6 seconds”. Available in little 150 gr. jars or 5 gr. sachets at most Asian shops and supermarkets in The Netherlands and other European countries, however since 2013 it is withdrawn from the UK market. While Eno can be taken by diabetics, their competitors with alternative fruit salts use sucrose making it unsuitable for diabetics.